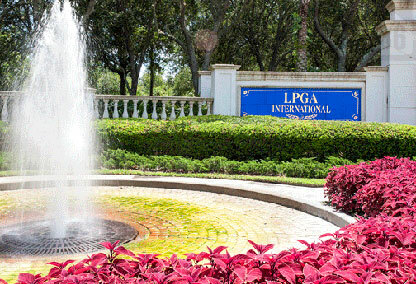 LPGA in Daytona Beach is the world-class golf community that you have been looking for! Centrally located and with instant interstate access, LPGA offers many excellent real estate options from large estate homes to convenient townhomes. Many of these properties are lakefront or on desirable golf course lots, and offer high quality construction and adornments such as tiled roofs. At LPGA you can embrace the best of golf course living with 36 holes of championship golf, lush landscaping, and a friendly atmosphere that creates a true feeling of home. Call us today to explore homes for sale in LPGA in Daytona Beach. Don't forget there are larger estate sized lots and homes available for sale. Features include tiled roofs, larger lots, and premium golf course lot locations. Call us for more information about custom home construction in LPGA. Active LPGA builders include Kargar Homes and more.